Decorating for Christmas is one of my favorite memories from my childhood. The day after Thanksgiving my Mom would turn on Andy Williams and we would sing, dance and decorate the house. I didn't appreciate the chaos and frustration my Mom must have felt until I had kids of my own. They love to help, but it makes me a bit crazy. That's why I've really tried to make as many "kid friendly" decorations as possible. 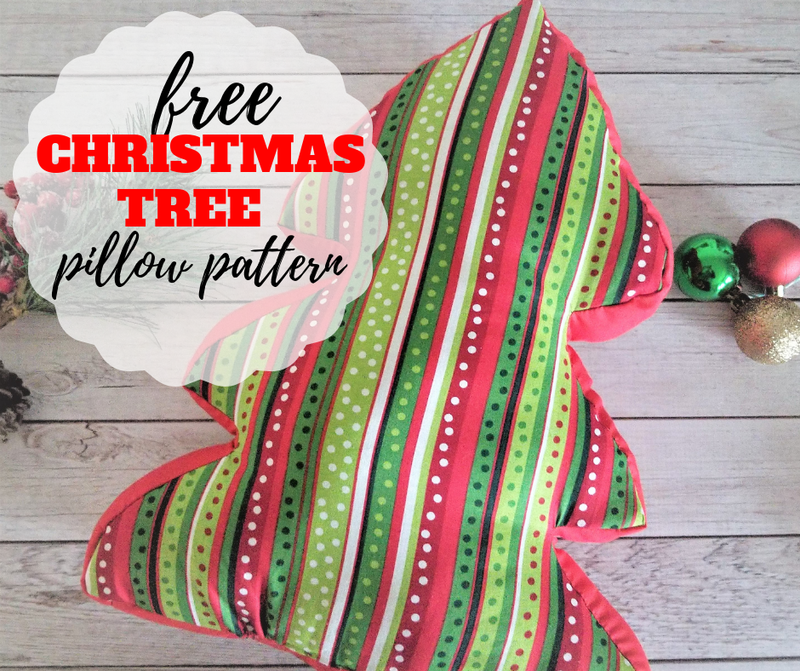 This Christmas Tree Pillow pattern is one of those kid friendly projects. 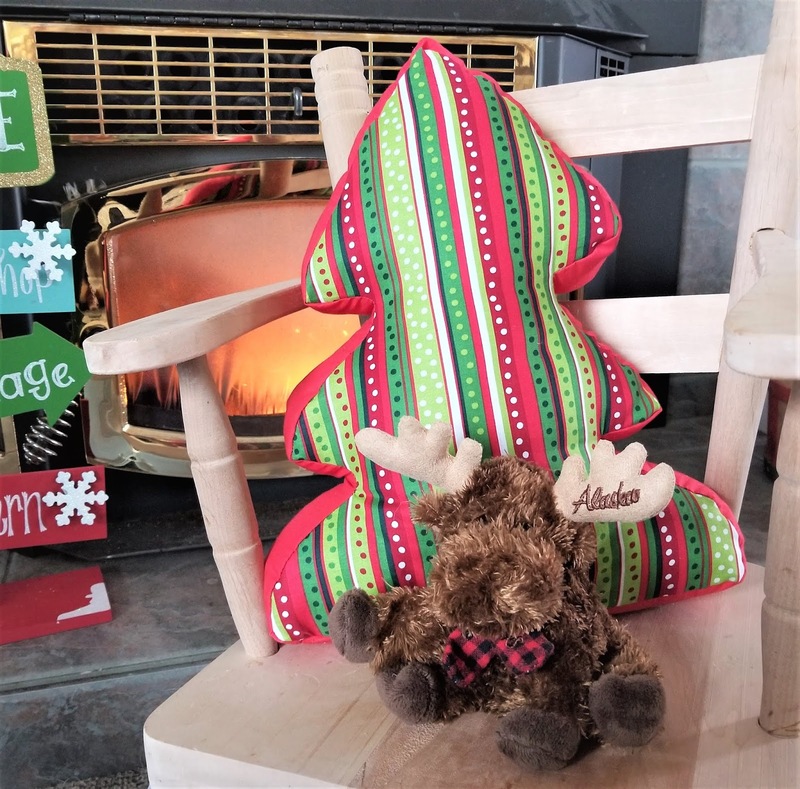 Now each year when I pull out the decorations I won't cringe when they grab this pillow to hug, toss or lounge on while they read a book in their new Christmas pajamas. Nope. Instead, I can enjoy watching them celebrate the season in their own way without worrying they'll break something. And let's face it, as parents, watching your children enjoy the season and leaving some of the stress behind is so rewarding!!! 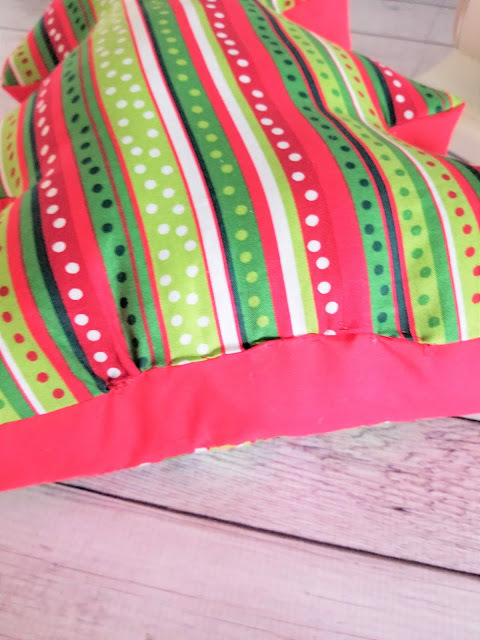 My favorite part about this pillow pattern is that you can easily make it your own. Just pick a fabric that you love. 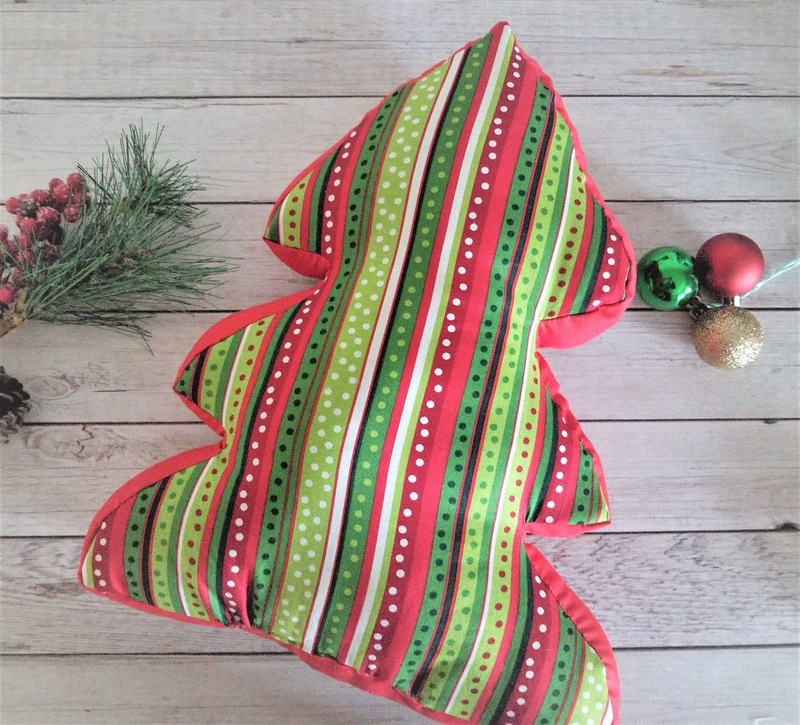 It could be Christmas fabric, red or black buffalo plaid or even just some fun kids fabric. 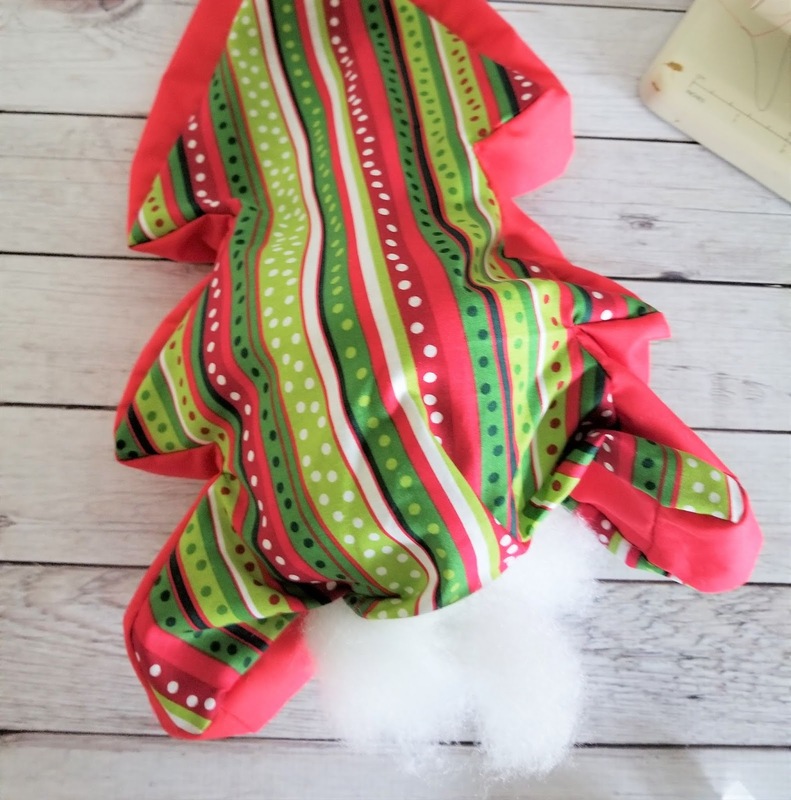 Make just one for the couch or make several, one for each child in your family. Whatever you choose, you'll love how quick and easy a sew this Christmas tree pillow pattern is. 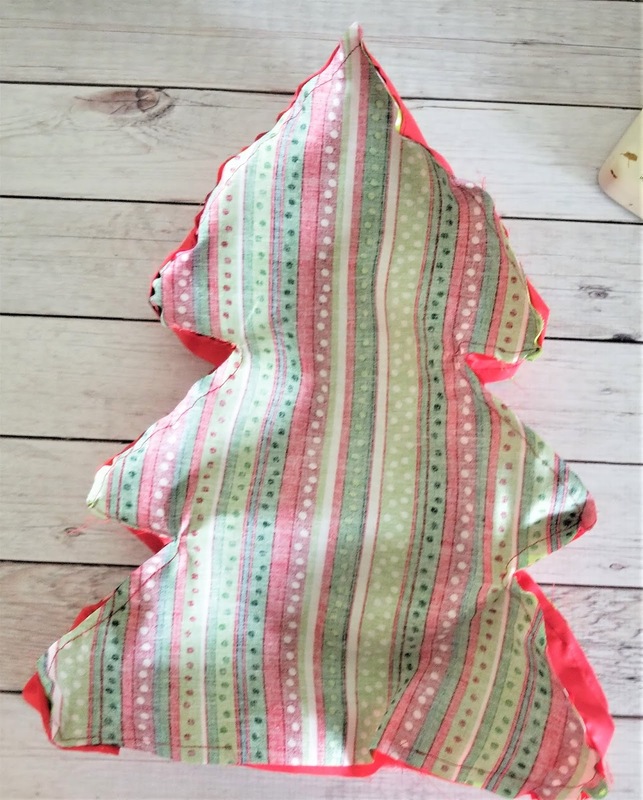 Cut out 2 trees in your chosen Christmas fabric. 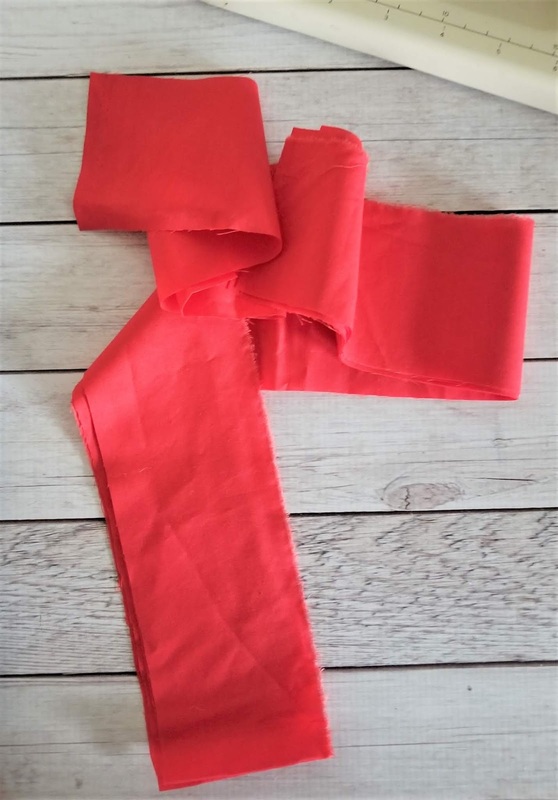 Cut out a 3.5" x 54" piece in red fabric for the rim of the pillow. 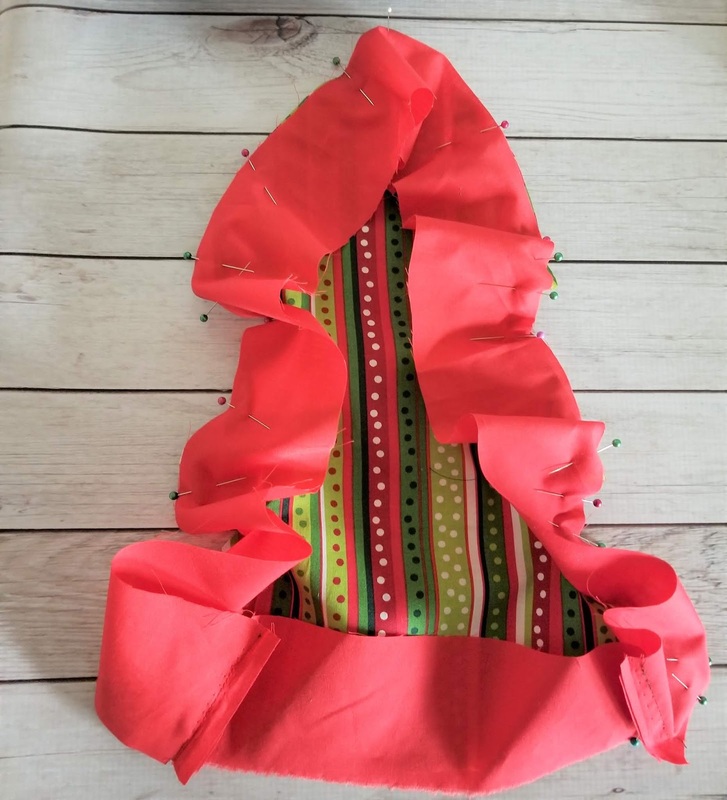 If your fabric is not 54" wide, cut out two pieces of material and stitch them together. Than cut a piece that is 54" long. With right sides together (RST), stitch the two short ends of the 54" strip together. 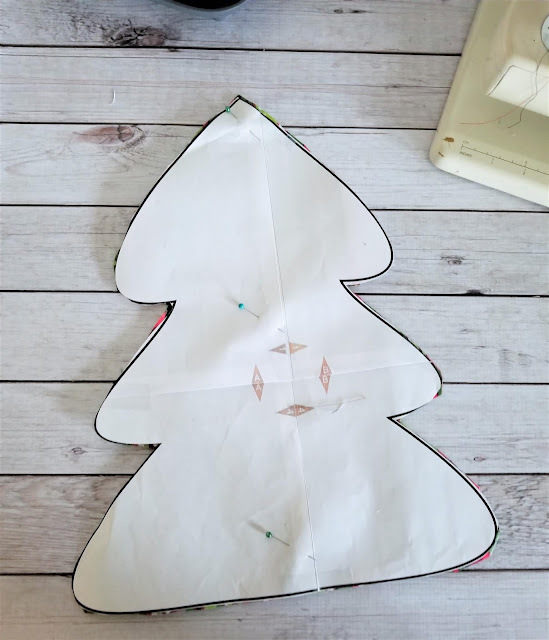 Now pin this strip around the outside edge of one of your tree pattern pieces. Make sure that right sides are pinned together. Repeat step 3 but with the opposite tree pattern piece. 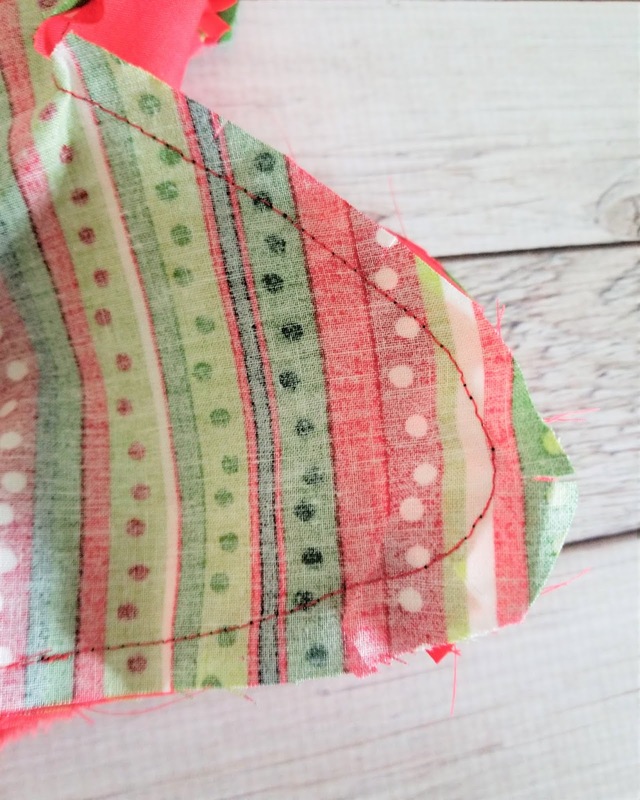 Make sure to pin so that the edges are well matched with the already stitched side. Leave a 4" opening on the bottom straight edge of the tree for stuffing later. Use scissors to clip around all the rounded edges and clip into the corners. This way when you turn your tree right side out all the corners and curves will lay flat. Turn your pillow right side out. Stuff your pillow with fiber-fil until it is as firm as you would like. 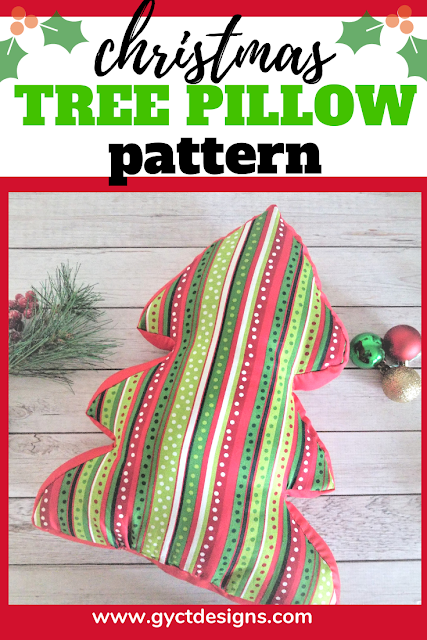 Isn't this just the cutest Christmas tree pillow pattern you've ever seen!! Plus it is such a quick sew you could make them for the neighbors or even teachers as gifts.